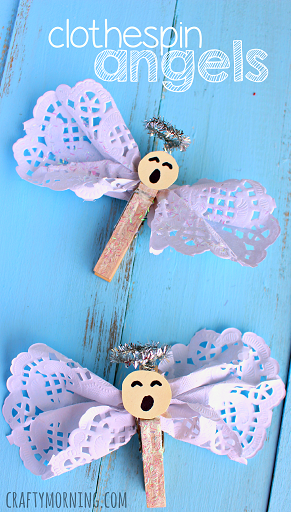 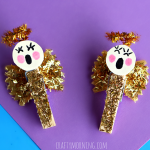 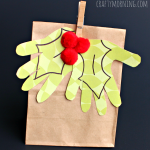 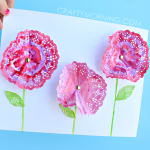 Make your own angel craft using a doily and mini clothespin! 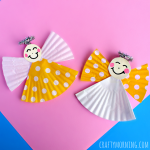 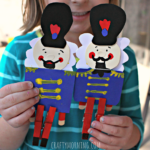 These are darling and very fun to make. 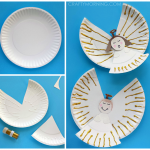 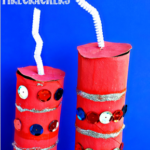 I think kids would love to try this art project. 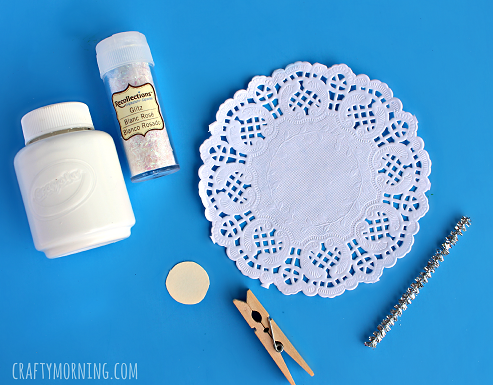 Start by taking your doily and pinching it in the middle of both sides, closing it in the clothespin. 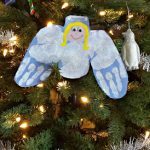 Cut out a little circle for the angel’s head and draw a face on it. 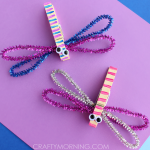 Bend your pipe cleaner into a circle leaving extra to stick inside the clothespin for the halo. 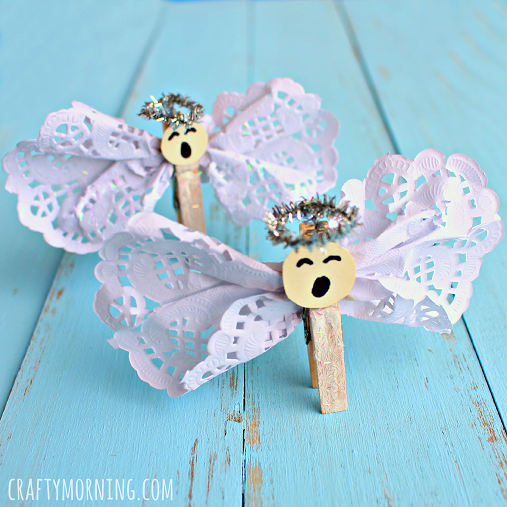 Paint the clothespin white and sprinkle with glitter to finish!